On Memorial Day we remember the men and women of our armed services who have given their lives for our country. We are blessed to enjoy our freedoms which were purchased through their great sacrifice. Among the thousands of stories of bravery and selflessness are those of the many chaplains who serve God and His flock in the battlefields of war. America has had chaplains of all faiths since the time of the Revolutionary War. There are currently about 2900 chaplains on active duty. They provide care and comfort in all kinds of situations and settings. And in the course of their service, 406 chaplains have lost their lives. In World War II alone, 182 chaplains were killed and 158 chaplains were lost in the Civil War. All of their lives and sacrifices are noteworthy but a few are extraordinary examples of unselfish love and devotion. World War II saw our government enlisting civilian ships to transport troops and supplies across the Atlantic to the war in Europe. One of these transport ships, the USAT Dorchester, was torpedoed by a German submarine off the coast of Newfoundland. On board were 904 troops including 4 chaplains: a Methodist minister, a rabbi, a Catholic priest, and a minister of the Reformed Church. As the ship floundered, the four men helped others into the lifeboats, even giving up their own life jackets to help others. Witnesses reported seeing the chaplains joining arms and praying together as the ship sank. They say they heard the chaplains praying to God in English, Hebrew, and Latin. Only 230 men survived the attack and surely many of those lives were saved through the heroic actions of “The Four Chaplains” who perished at sea on February 3, 1943. 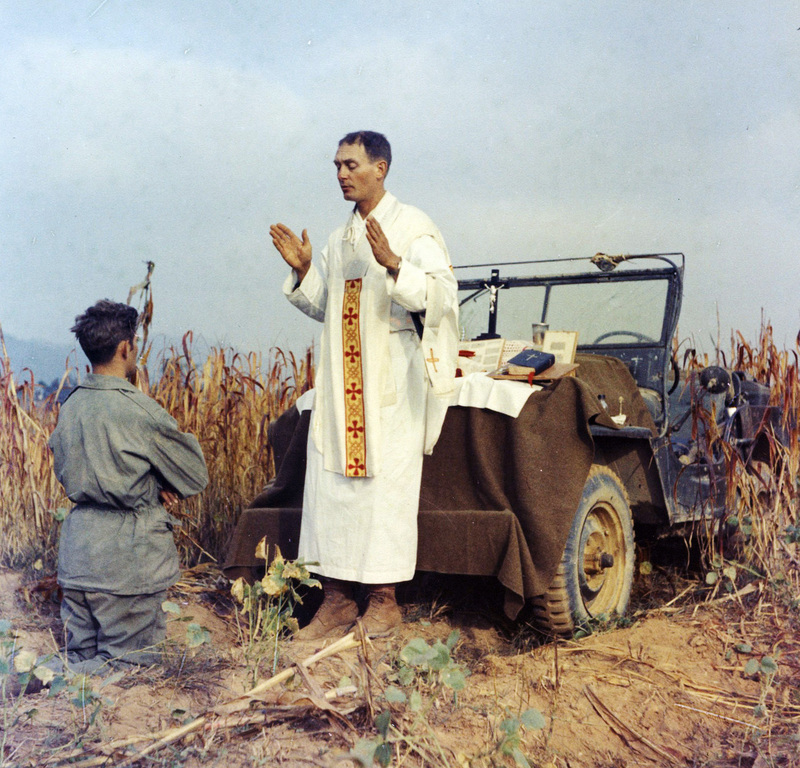 Father Emil Kapaun was a Catholic priest who served in the Army during the Korean War. As the troops fought their way northward, Fr. Kapaun constantly ministered to the wounded and dying. He baptized and heard confessions and celebrated Mass on the hood of his jeep. Several times his Mass kit and jeep were lost to enemy fire. On October 7, 1950 he was captured by the North Korean army and taken to a prisoner of war camp. During the bitter winter, he did all he could to minister to his fellow prisoners and to improve the conditions and morale of the men. He would steal food to feed the starving and steal medicine to treat the sick. Letting his own health suffer, Fr. Kapaun developed a blood clot in his leg as well as dysentery and pneumonia. And yet he continued his priestly service as long as he could. On May 23, 1951, Fr. Kapaun died in the prison hospital. On April 11, 2013 President Obama awarded the Congressional Medal of Honor posthumously to the chaplain. In 1993, the Catholic Church named Fr. Kapaun a “servant of God” which began his case for possible sainthood. Since that time, the Church has investigated several purported miracles attributed to Fr. Kapaun’s intercession. Finally, the story of Father Tim Vakoc unfolded on the battlefields of Iraq. To date, Fr. Tim is the only chaplain to have been killed in action in the wars in Iraq and Afghanistan. Fr. Tim was born in Minnesota and after his ordination he served as a pastor before enlisting as an Army chaplain in 1996. In 2003, his unit was deployed to Iraq. He served in Mosul, offering the sacraments to men involved in some of the heaviest fighting of the war. On May 29, 2004, the twelfth anniversary of his ordination to the priesthood, his Humvee was struck by a roadside bomb and he sustained a severe brain injury. He died on June 20, 2009 at a nursing home in Minnesota. He was just 49 years old. The love of God suffuses the world, leaving no spot without His grace. Even on battlefields and sinking ships. Even in shattered Humvees and dark and cold prison camps. God is close to the brokenhearted, the lame, the suffering, those terrified and facing death. The brave and loving chaplains who answer His call of service bring God to the hearts and souls of the men and women who fight our wars for us. Too often their duties and sacrifices are lost in the fog of battle. But these chaplains serve in the trenches of the heart and their victories have eternal consequences. Remember them in your prayers and thank them when they return home to serve us here. God bless our faithful chaplains. No Sharps. No Flats. No Life in Christ. 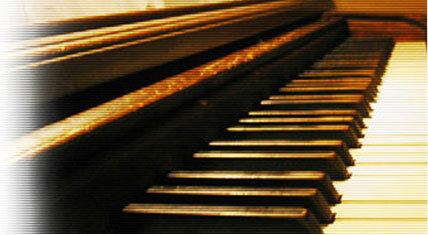 I took piano lessons for 6 years in elementary school and junior high. It never came easy for me and I always had to practice to master even simple pieces. Every spring we had the dreaded recital where about 30 of us would perform from memory for our families. It was hard to know who was more uncomfortable on these evenings–those of us on the stage or our parents who had to endure our missed notes and shaky re-starts. I only had one rule about the music I played at recital: it had to be written in the key of C major. No flats and no sharps. I didn’t want the added pressure of all those black keys on recital night. Of course I played all kinds of compositions the rest of the year, but on that most nerve-wracking of all nights I wanted the simple and straightforward landscape of broad, flat, white keys. As I matured I realized of course that some of the most challenging piano pieces ever composed were written in C major. Schubert, Chopin, and Mozart all wrote some real finger-twisters using only the white keys. But as kid, C major was my standby. It was my comfortable piano “easy chair.” When I was in it I knew I could get through my 6 or 7 minutes of recital torture, at least for one more year. Comfort can be a good thing. But if we are never challenged or forced to take a harder path, we don’t grow. Sometimes it’s been like that for me in my spiritual life, too. I was a C major Christian. I picked easy devotions and ministry service that was quick and painless. I liked doing things that didn’t challenge me too much or make me take a hard look at my sins. The “best” pastors were the ones whose homilies made me feel good every Sunday and whose penances and spiritual direction didn’t call me out of myself. I was a “go to Mass and go home” Catholic and my spiritual life was broad and shallow and comfortable. No sharps and no flats. And I was dying inside. And then someone I loved very much was killed. It was during the weeks and months after her death that I really started to take a look at my life. A life cut short can make you do that. What was I living for? And more importantly, WHO was I living for? One of the first things I did was to pray. I would stop by my parish church every day on my way home from work. There was rarely anyone else there at that time of day so I’d pray aloud. What did God want from me? What was His plan for my life? How could He use me for His purpose? I’d walk around the church praying the Stations of the Cross. I’d kneel in front of the Tabernacle. I was hungry to know Him. All those hours spent in the presence of the Most Blessed Sacrament changed me somehow. Not overnight, but gradually and profoundly. To begin with, I had a hunger to know Jesus. I read the Gospels over and over again, especially the parts that made me uncomfortable. I wanted to know more about forgiveness and mercy and what it meant to pray without ceasing. I discovered the great Ignatian practice of imagining myself as a character in the Gospel story and how Jesus’ words and actions affected me as the chapter unfolded. My prayer life deepened. I was no longer satisfied with a few hurried prayers in the morning and evening. I longed to be with Him all the time. I began to recognize Christ pulling me out of my “C major” comfort zone. I wanted to be a blessing to other people in the ministry work I did. Others became important to me, for the first time in my life. Spending hours in His presence cracked open my heart that had become hardened and small through living a self-centered life. Broken in my grief, The Lord used my pain to draw me closer to Himself. It’s one of the ways that God can use our pain and suffering for a greater good. Over the years, life’s ups and downs–those sharps and flats of my piano lessons– became the stepping stones of my faith journey. I learned to be dependent on Christ. Stumbling along with Him to guide me, I’ve made it this far. When times are easy we tend to rely on ourselves and our own strength. God can use the hard times to increase our love for Him if we allow. If you’re hurting, reach for His hand. If you feel lost and alone, lean on Him. You don’t have to get through this on your own. I like cemeteries. Not those modern “memory gardens” with their easy-to-mow flat bronze markers, but old cemeteries filled with monuments and statues and mausoleums. In fact the older the cemetery is the better I like it. I used to live in Texas and one of my favorites was in Fredericksburg. Settled by German Catholics, the City Cemetery is chock full of great old headstones and elaborate statuary. Carved in the late 19th and early 20th centuries, a stroll through this cemetery is a walk back in time. It’s large and peaceful with many of the inscriptions written in the native German of the early townspeople. I like it because the headstones and statues give a clue to how the settlers imagined death and life after death. Old cemeteries like this one don’t hide the dead under sterile bronze plaques. 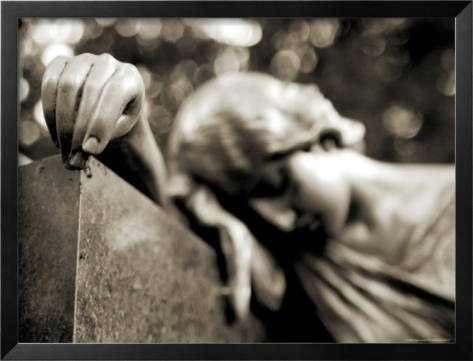 Old cemeteries enshrine their citizens in lavish marble displays and descriptive engravings that tell the life story of the person. And they remind us of our own mortality, which is a good thing. Back in the days when cemeteries were grand and beautiful, the living and the dead were much more connected than they are in our modern world. People were born at home and many babies died very young also at home. Families lived together with several generations under the same roof. If you were sick or injured you were treated at home where you’d either recover or die, surrounded by your family. When you died, your body wasn’t whisked away to a funeral home. Your body was washed and dressed by family members and your wake and funeral was held, most likely, in the room where you died. Many families had burial plots on their own land. If not, the parish church always had a cemetery, usually adjacent to the church. You’d see it every time you went to Mass. You’d grow up helping to keep your family plot tended and you’d surely visit your family’s graves on birthdays and anniversaries. You knew where your kin were buried and they were still, in some ways, part of your family life. You visited them and took them flowers. As you helped pull the weeds from their graves you’d hear stories about the deceased person and these would keep their memory alive. Today’s sterile, drive-through “gardens” are rarely near the parish church. The staff there mow the grassy expanse so there’s no need for family upkeep. Without monuments or statues it’s often difficult to locate a loved one’s grave. Great for mowing but bad for encouraging family visits and reflection. Many modern cemeteries don’t allow flowers to be left on the gravesite. Dying in a sterile hospital and buried in an easy-mow plot, our dead are pretty removed from our daily lives. Catholics believe in something called the “communion of saints.” That means we believe that those who have died in God’s friendship are part of the same mystical Body of Christ as those of us alive on earth. If your church proclaims the Apostle’s Creed, then you believe this, too. Thus the faithful departed remain alive in Christ, just as we are. In short, we’re all in this together. Our modern culture has gone a long way towards severing any connection between the living and the dead. We hide the process of dying and we bury our dead in endless rows of unadorned identical plots. Gone are the beautiful statues of weeping angels or praying cherubs. There are no more poetic epitaphs remembering the life and loves of the deceased person. When was the last time you made a family visit to put flowers on your grandmother’s grave? Do your children even know where your grandmother is buried? Practically speaking, few families today could afford a lavish family tomb in one of the few grand old cemeteries that still survive. It’s even unusual to find a parish church that still has its own cemetery. And with families living all around the country, it’s hard to make frequent visits to family plots. But we can do a few things to recapture that sense of communion with our deceased family members. We can include them in our family prayers at mealtime and at bedtime. We can remember the anniversary of their death with a memorial Mass or donation to the parish in their name. We can share photographs and stories about them with our children and grandchildren. We could plant a special garden in their honor and include their favorite flowers or shrubs. The important thing is for us to teach our family that our faith in Christ makes us all members of His family and that dying doesn’t separate us from one another. Our faith connects us to one another through the love, mercy, and sacrifice of Jesus. Nothing, not even death, can separate us from His love. As a convert to Catholicism I don’t share many of the “growing up Catholic” memories of many of my friends. I wasn’t taught by nuns. I didn’t go to Catholic school. I didn’t grow up getting into trouble at Mass or choir practice. I didn’t get to wear the adorable little white dress and gloves for my first Holy Communion. I don’t miss those great old Latin hymns or women wearing chapel veils. Although I do LOVE the old Latin hymns and women wearing chapel veils. I came into the Church in 1977 at the height of guitar Masses and liturgical “experiments.” The music and practices of “my” Catholic Church have kind of always been a hot mess. I even know all the words to “Lord of the Dance.” Unfortunately. So when other Catholics reminisce about the “good old days” before Vatican II, I think: meh. I didn’t become Catholic because of the beautiful architecture or music or liturgy of bygone years, though I LOVE all these aspects of our worship. I became Catholic because of the Holy Eucharist. And throughout the decades of bad music, ugly vestments, school closings and scandal, the reason I remain Catholic is the Holy Eucharist. The Church teaches us that the Eucharist is the source and summit of our faith (Catechism, para. 1324). Jesus teaches us this same truth in the beautiful “Bread of Life” discourse in the sixth chapter of St. John’s Gospel. As our Pope Emeritus Benedict XVI said: “Without the Eucharist, the Church simply does not exist.” Nothing could be truer. God gives us the most precious gift of His Body, Blood, Soul and Divinity to nourish and sustain us on our earthly journey. The Eucharist is literally the beating heart of our Catholic faith and our loving Savior. Yet every Sunday only about 25% of Catholics attend Mass to meet Him there. And you want to know why? Because of what was found by a recent Pew Research Center poll (9/28/10) that questioned Catholics about their faith. 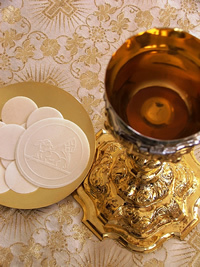 It revealed that almost half of American Catholics believe that the bread and wine we receive in Holy Communion is a SYMBOL of Jesus’ Body and Blood. A symbol. Granted, I don’t know if the Catholics they questioned were practicing Catholics. But honestly, I wouldn’t be at Mass myself if I thought the Eucharist was a mere remembrance of Christ’s sacrifice on the Cross. There’s a famous Flannery O’Connor anecdote that beautifully sums up my thoughts and feelings. At a New York dinner party where Miss O’Connor found herself the token Catholic, she sat quietly listening to the erudite conversation of the other guests. At one point a lady turned the conversation to the Catholic faith. Among the thoughts she shared was that the Eucharist was a “pretty good” symbol. This prompted Flannery to remark at once, “We’ll, if it’s a symbol, to hell with it!” I couldn’t agree more, Miss O’Connor. Because of the Eucharist, the Catholic Church continues to exist in spite of every reason it shouldn’t still be around. And without the Eucharist, like Pope Benedict said, the Church would cease to be. And I’d be among the first out the door. So it’s no wonder so many Catholics don’t attend Mass on Sundays or have left the Church altogether. They aren’t being taught the Truth of the Eucharist. If 45% of Catholics believe the Eucharist is just a symbol, they may as well sleep in on Sunday morning. I would. So no matter how you feel about your parish’s choir or vestments or pastor or youth programs or parish council, remember this: Jesus Christ waits for you at every Mass. In person. He longs to meet you intimately in Holy Communion and to share His eternal life with you. This is the greatest gift of our Catholic faith. We must hear this truth preached in our Sunday homilies and see reverence for the Blessed Sacrament shown by our priests and deacons. We need Adoration Hours in every parish and adult catechesis on this most central belief of our Church. We must be reminded that the God we worship is there on the altar before us, truly and wholly present in the Sacrament of Holy Communion. People leave the Church when they believe the Eucharist is a “pretty good” symbol of Jesus. If they knew the Truth as Christ taught, we wouldn’t be able to build enough new churches and schools to keep up. Christ gave the keys to the Kingdom to St. Peter, our first Pope (Matthew 16:18) and that same key is in every tabernacle in every Catholic Church in the world—“Jesus, my Lord and my God!” (John 20:28).